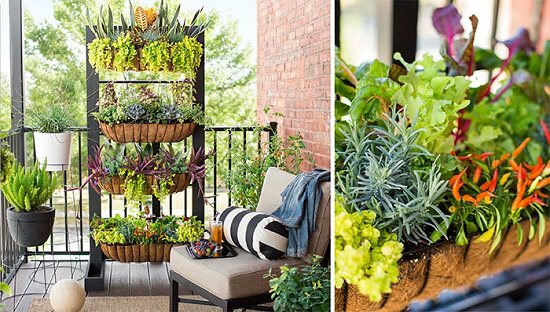 This list of 8 DIY Vertical Garden Projects is suitable for Balcony Gardeners and limited space indoor plant growers! 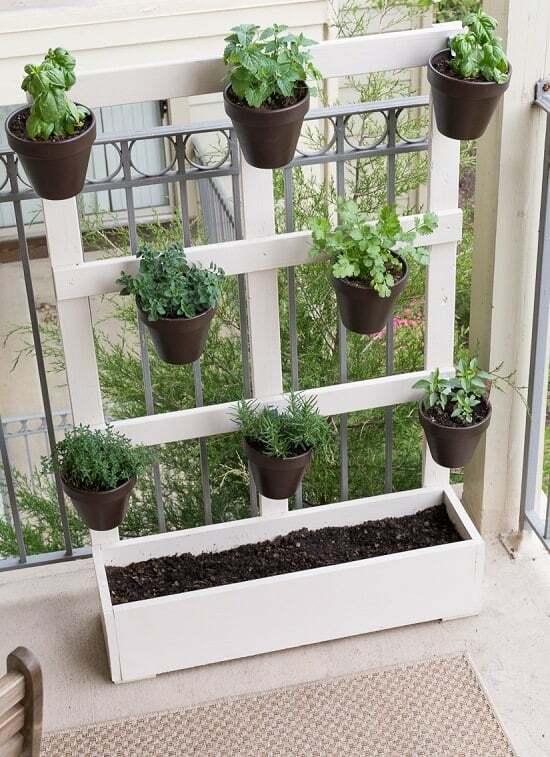 Build a structure from scrap woods to hang your herb pots and under them, there’s a planter to grow whatever you like. 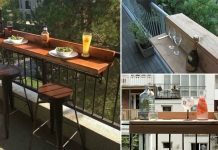 Such a neat idea for us balcony gardeners. Check out this amazing DIY at By Brittany Goldwyn! 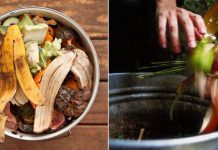 This post by DIY Enthusiasts shares two basic space saving ideas for limited space gardeners. 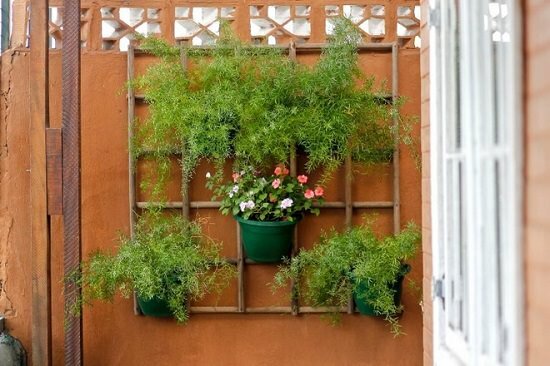 Make a wooden lattice holder for your flower pots and the one is hanging wicker baskets. 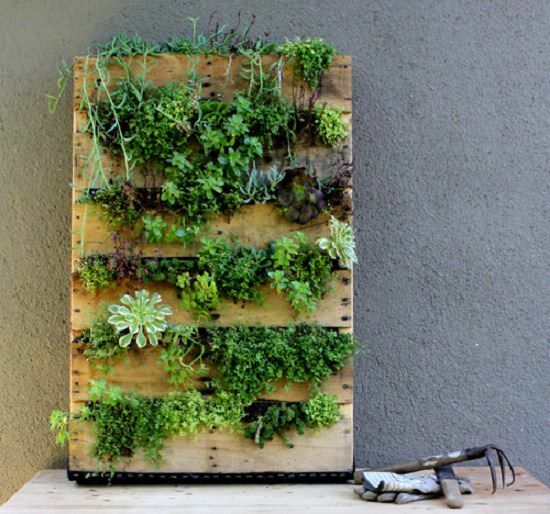 Learn how to turn a simple pallet into a vertical garden. The step by step tutorial is here! 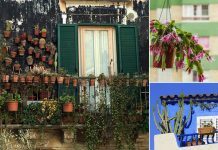 With some threaded rod, hardware and DIY skills, you can secure your clay pots in the air to form a vertical garden. Inexpensive, modern, and space-saver! Get the plan here. 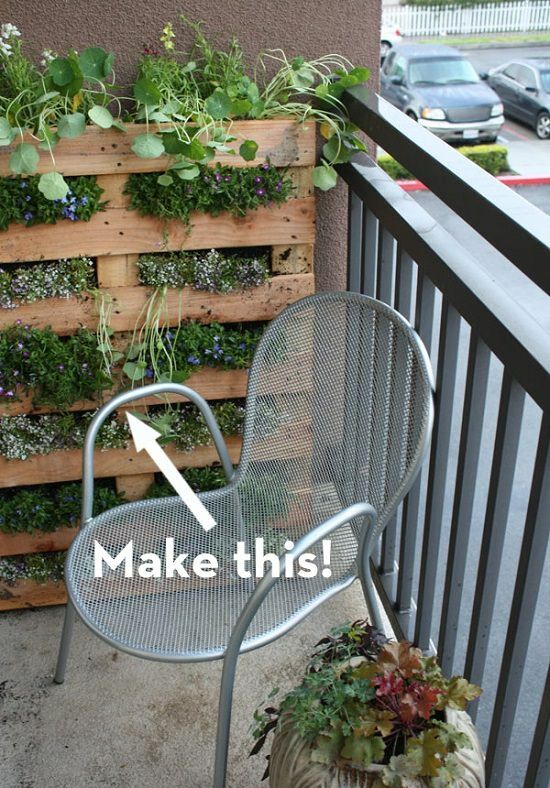 Make a vertical succulent wall garden for your balcony using a pallet, nails, and hammer. Find out the tutorial at Design Sponge. 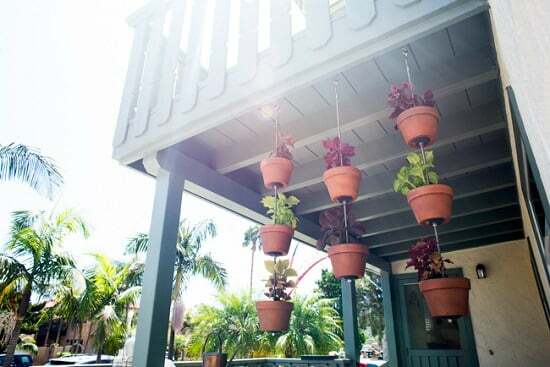 Save room and increase sun exposure for each plant with this idea. 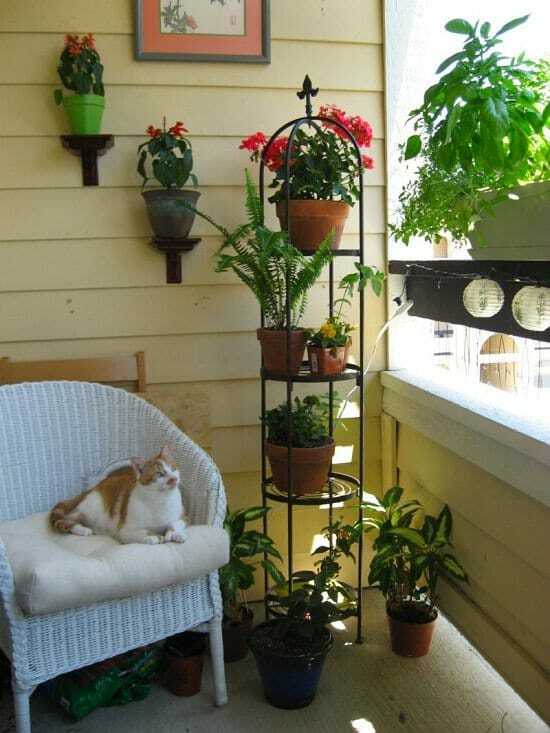 Buy a multi-level plant stand and place it near an area in your balcony that is sunny and has a good air circulation. If you are crazily in love with plants but live in a tiny apartment, this DIY is ideal for you. With this vertical garden planter, you can easily display 5 long baskets all filled with plants and flowers or vegetables in one place. Visit Lowes to check out this project. This windowsill herb planter project utilizes a lot of vertical space. 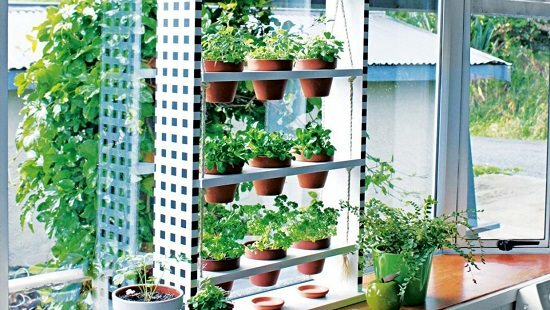 It is useful for people with limited space with gardening obsession! Get the idea here. Very creative and colorful full of life and inspired me to make one of my own.